Thanks for visiting Too Yarn Cute! I am now taking orders for crocheted items. I had taken a break from making crochet goods “to sell” to become a pattern designer. I will keep designing new patterns for other crocheters to enjoy, but you can view my personal designs here: http://www.ravelry.com/stores/too-yarn-cute-designs. You are welcome to place an order that is not from my own patterns. I can custom design your own or if you have a sample photo of what you are looking for, please send it to me! 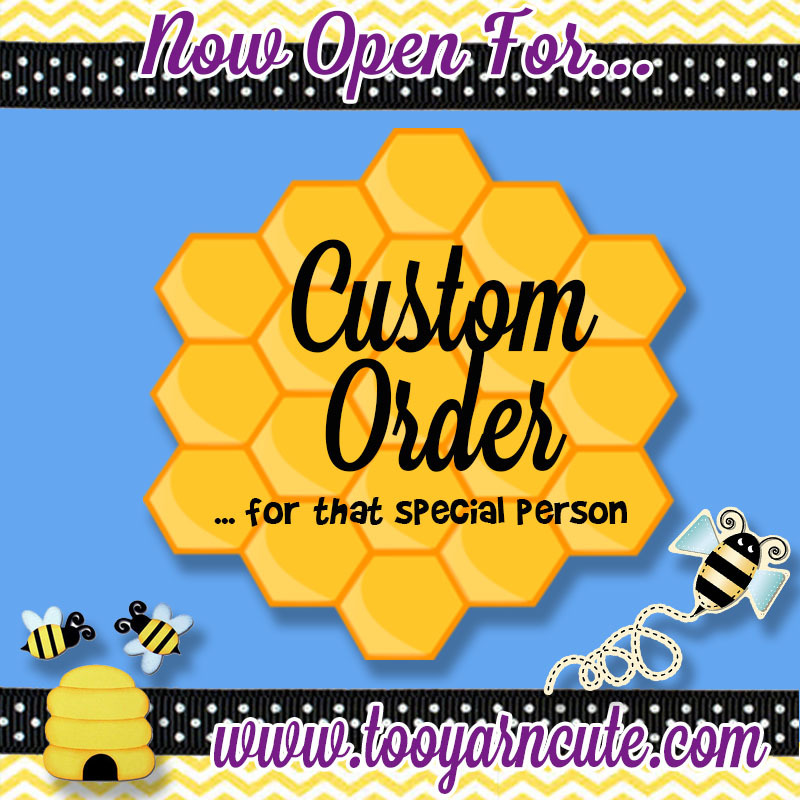 The best way to get to me is via email- tooyarncute@gmail.com, or my Facebook page here. Please include a description, link or photo of the item you would like me to make for you. 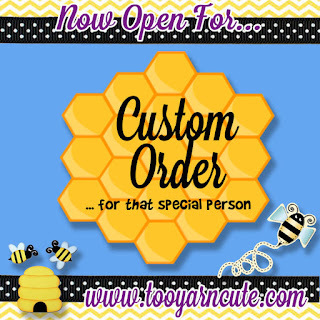 I look forward to working with you and making you something CUTE for a loved one! Copyright © Too Yarn Cute 2016 All Rights Reserved. No part of this website may be reproduced,. Simple theme. Powered by Blogger.